Alverbank (some maps i.e. 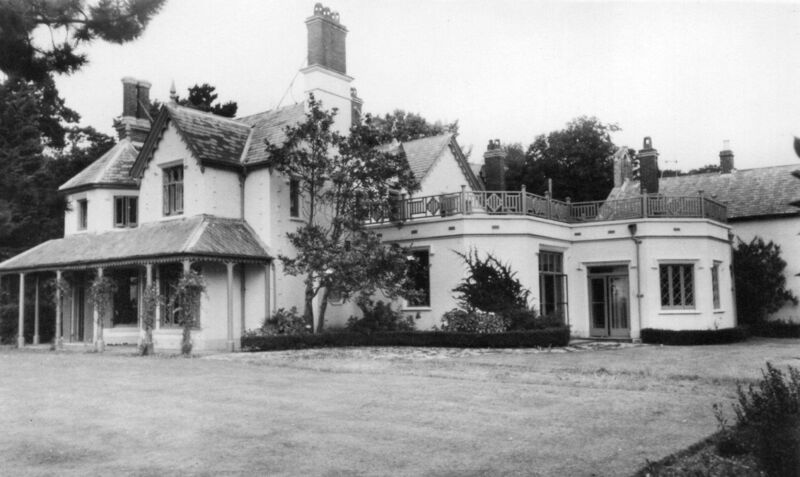 of 1870 show the name as Alver House but others use Alverbank and one in 1965 uses Alverbank House) was built in 1840 for the Rt. Hon. John Wilson Croker (1780-1857), a close associate of the Duke of Wellington, Canning and Pitt, a friend of Lord Ashburton. Croker had been Secretary to the Admiralty from 1809 to 1830. 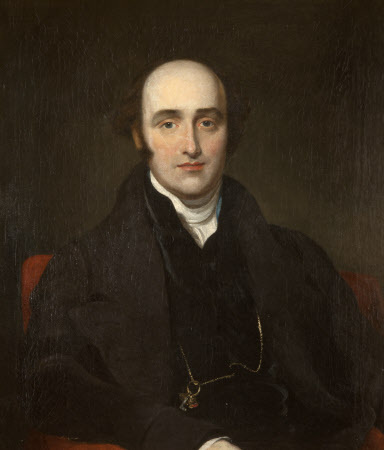 The house was visited by Robert Peel, the Prime Minister and the Duke of Wellington. The 1851 census shows the following persons at Alverbank, Stokes Bay. After the death of Croker in 1857, Prince Alfred Ernest, the future Duke of Edinburgh (from 1866) stayed at Alverbank from October 1857 to September 1858 whilst he studied under the Rev. Jolly and his tutor, Lieutenant Cowell R.E. Prince Alfred has lately been sojourning at Alverstoke in Hampshire. 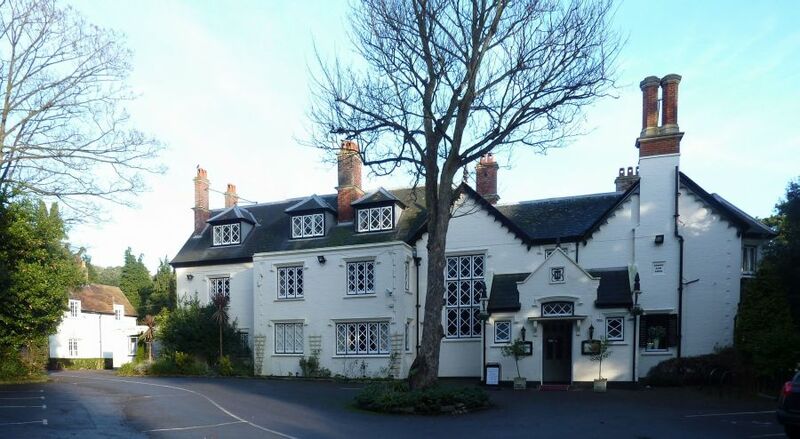 "An establishment named Alver Bank, a small but ample mansion, has been engaged, and in it the sailor (says a Southampton paper) Prince has for some little time past been domesticated. He has an ample retinue of servants and a talented staff of attendants, amongst whom we may name Lieutenant Cowell of the royal engineers, who was his Highness's companion and guide during his continental tour, Dr. Minter, surgeon; and the Rev, Jolly, as naval and general instructor. His little Princeship gives dinner parties, and may be frequently seen 'cutting' about this port." 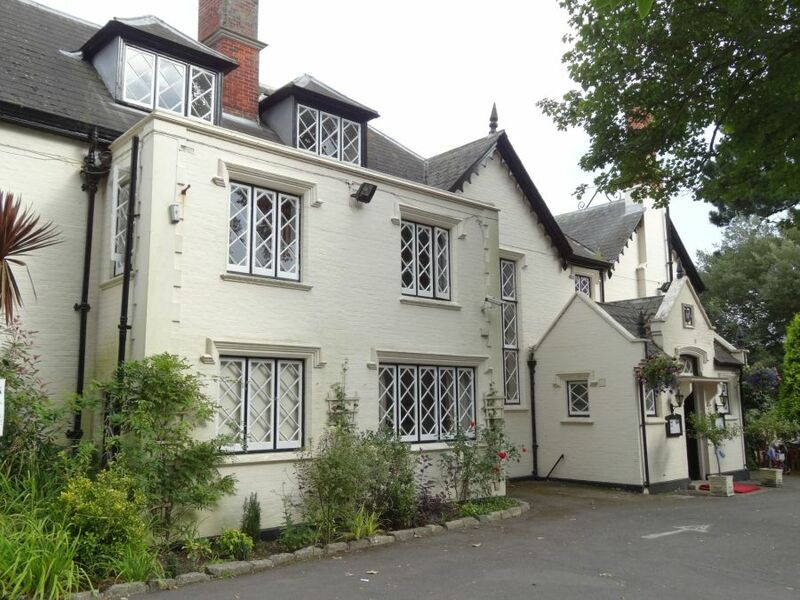 The Hampshire Telegraph and Sussex Chronicle reported on December 19th 1857 that His Royal Highness The Prince of Wales had been staying at Alver Bank with his brother Alfred. His Royal Highness, The Prince of Wales, left Alverbank on Tuesday afternoon, where he had been staying with his brother. The Prince rode to the Clarence Yard in an open top barouche, attended by his brother, Lieutenant Cowell, R.E. and an equerry, and embarked thence on board the Fairy, and proceeded to Osborne to join the Queen. It is currently reported that her Majesty purposes purchasing Alver-bank as a marine residence for Prince Alfred, and that a pier will be run out opposite his residence for the use of the royal family for embarking or disembarking from Osborne. The Court Circulars frequently reported the coming and going of Prince Alfred. Prince Alfred attended by Lieutenant Cowell arrived at Buckingham Palace from Alverbank. Prince Alfred, attended by Lieutenant Cowell, left Buckingham Palace for Alverbank. 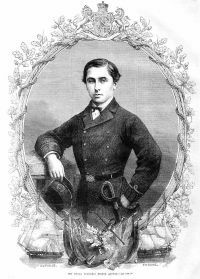 His Royal Highness Prince Alfred frequently visits the Dockyard and ships at Portsmouth attended by his Tutor Lieutenant Cowell R.E. 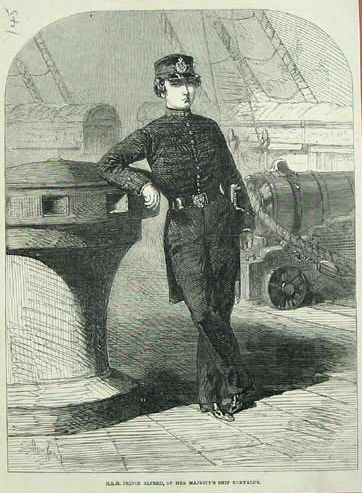 and Commander Bickford of The Victory, and shows much courtesy towards the senior officers of the port, whom he has entertained at his residence at Alverbank. His Highness is pursuing his studies, we are informed, with the view of passing the Royal Naval College at the approaching quarterly examination, and entering the service as a Naval Cadet. The Euryalus, 51, Captain Tarlton C.B. will take him on his first voyage. Prince Alfred's establishment at Alverbank will be broken up in about a fortnight or three weeks and his Royal Highness will take his departure for Bonn. Professional matters connected with the young Prince's naval examination prevented his Royal Highness leaving this country with the queen, but we believe everything is now definitely arranged and Alverbank will be given up at the time we have specified. A local directory for 1859 states that Lord Dumfermline was living at Alverbank. In 1869 John Edward Commerell (Capt. R.N. V.C.) was recorded in the London Gazette as living at Alverbank. In 1907 Alverbank was occupied by Edward Darell and Mrs Darell-Blount. John Darell_Blount of Alverbank died on Augst 10 1909. 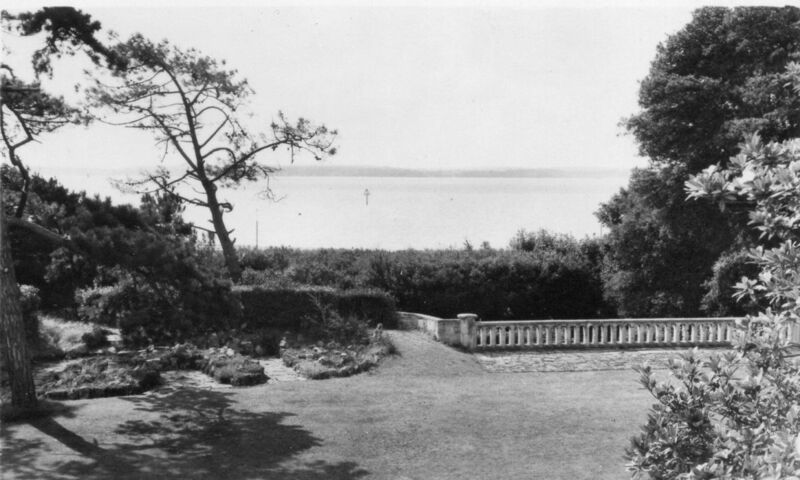 Alverbank was sold in 1912 to Winfred Alured Comyn Platt, (later a Colonel), part of a marriage settlement between Platt and Louisa Maria Atherley. The Platt family built an extension to the house (dated 1912 above the doorway) The Platts did not move from London into Alverbank until 1915, to avoid the bombing raids, and returned to London in 1917, probably because of a change in family circumstances. They then let Alverbank to Lt R Smith-Barry. 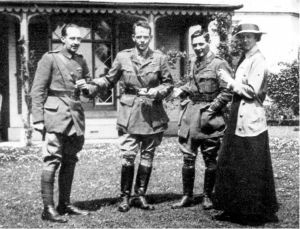 In 1917 and 1918 Robert Smith-Barry of the School of Special Flying, based at Grange Airfield, used Alverbank as a home and an Officers' Mess. Whilst there he experimented with and perfected his 'Gosport Tube' a voice tube that enabled a pilot to communicate with his pupil whilst flying. Smith Barry with his wife Kitty and with Lieutenants Moore (left) and Parker (right) at Alverbank, Stokes Bay Gosport. Alverbank was used by Smith-Barry as an extension to the Officers’ Mess of Grange airfield. He conducted his experiments on the Gosport Tube at the house. 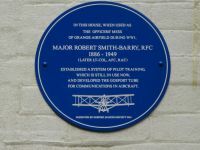 On April 9 2014 a plaque was unveiled to Smith-Barry by Gosport's Mayor before members of the Gosport Aviation Society and representatives from HMS Sultan and a member of the Smith-Barry family from France. 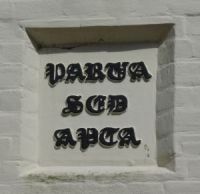 It can be seen on the outside wall of Alverbank. 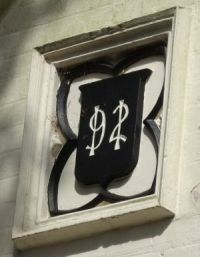 In the 1930s Alverbank was occupied by Winifred Platt. 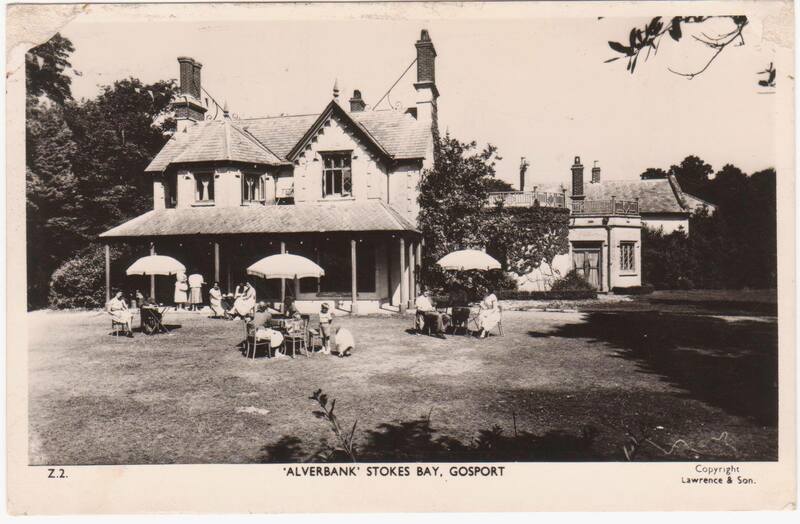 In 1947 Gosport Borough Council made an offer of £7,500 for Alverbank with accompanying 7.5 acres of park land adjoining Stanley Park. The offer was refused so the Council issued a Compulsory Purchase Order. The offer of £9,000 was refused. 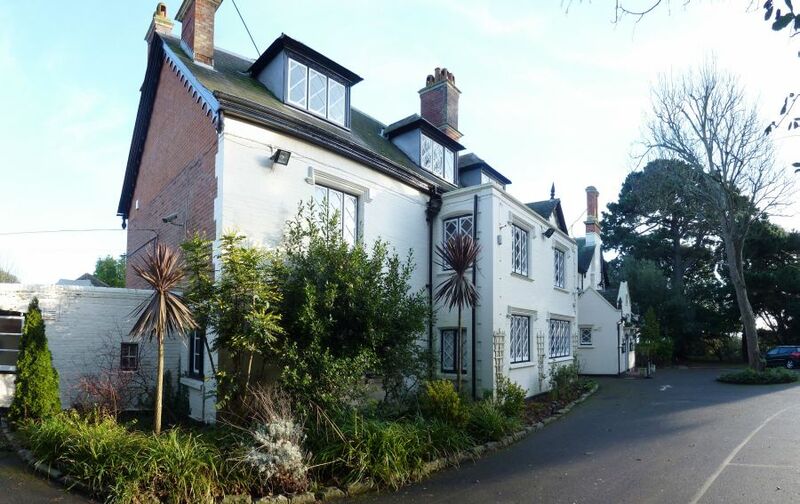 The Home Office queried the CPO but in 1948 the house became the property of Gosport Borough Council. The intention was to provide refreshments on the ground floor and one first floor room, the rest to be let as self-contained flats. Between 1948 and 1950 Max Lock, a government appointed town planning consultant, occupied Alverbank. In 1951 a 3 year lease at £250 p.a. was given to Mrs Dawkins for sale of morning coffee and afternoon teas on the premises and lawn. 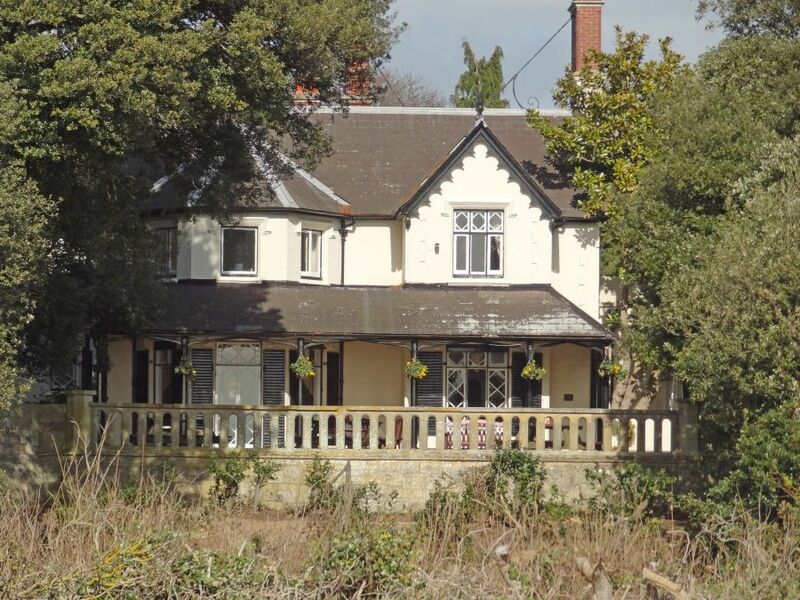 Mrs Dawkins withdrew her agreement and on 1st October 1951 the lease was made to Mr French. In 1954 Mr French asked to renew the lease for five years if he could take paying guests. In 1955 H.N. French was still in occupation. In 1957 the rent was in arrears and in 1957 a tender to lease Alverbank was received from Misses Barton & Phelps for £175p.a. for 7 years. In 1958 improvements were made to Alverbank by putting in hot/cold washbasins in the eight bedrooms for let, with electric fires and meters. In 1959 the lessee applied for a liquor licence at Alverbank, for residents & guests, also nonresidents attending for meal or bona fide functions. In 1965 it was decided to renew the lease to Misses Barton & Phelps for 21 years for £500 to £550 p.a. In 1978 the lease was up for review at £3,000 p.a. 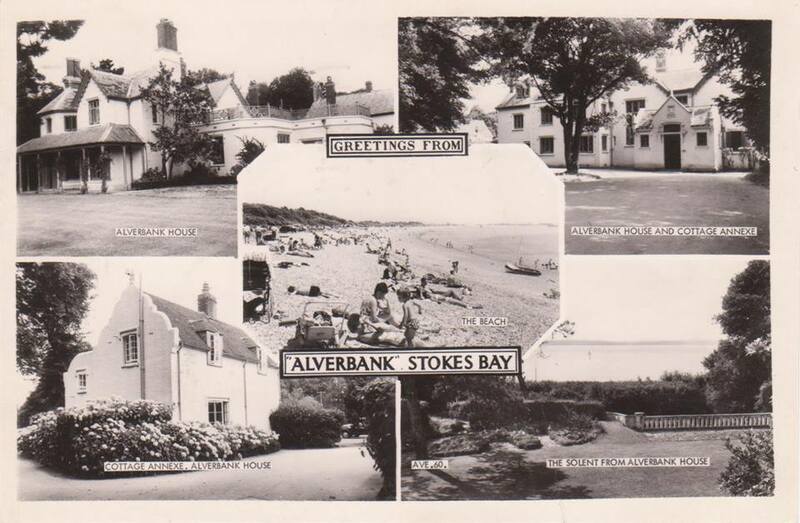 Alverbank is now the Alverbank Hotel and is next to Stanley Park, which once formed its grounds. 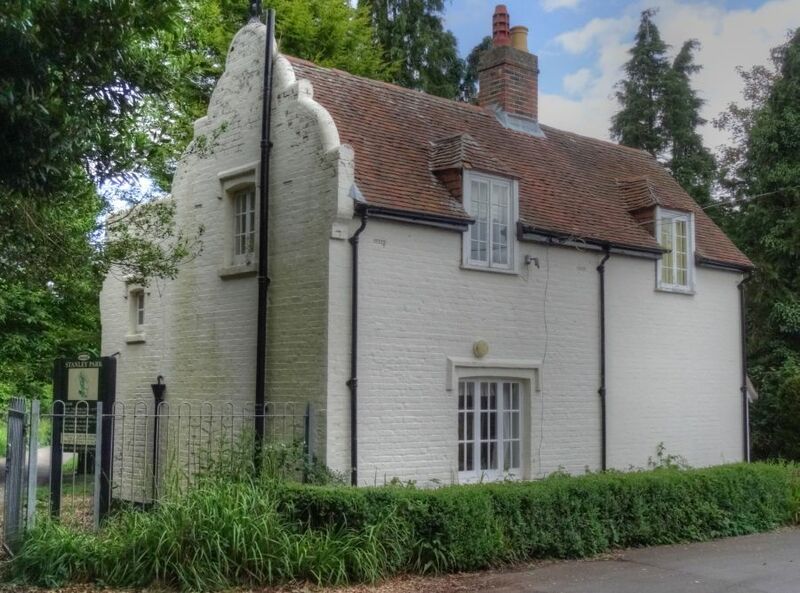 The house is a GradeII listed building. One of the mansions near Alverstoke; built 1842 for J W Croker. Romantic Tudor style of 2-storeys, with dormers. Slate roof with decorative barge boards to gables. Hood moulds to mullioned windows. Extensions in keeping, including porch dated 1912. Original terrace boundary wall, overlooking moat, with corner abutments. Visitors to house included Peel and Wellington. 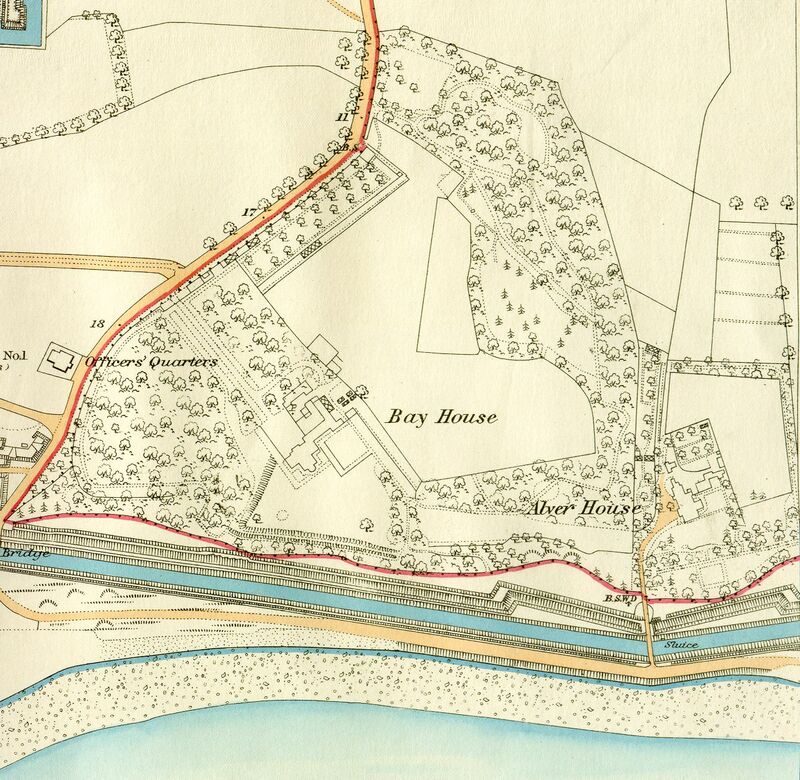 March 1840 six acres of land conveyed from Board of Ordnance to the Right Honorable John Wilson Croker of West Molesey in Surry for £240; with right to a carriage road through Lord Alexander Ashburton's land (also bought from Ordnance) to Gomer Lane; also with right of way over the bridge leading from the western angle of the land over the rivulet to the Sea Beach.